I have been praying,"Holy Spirit, You are going to have to have to prove it to me that you want me to go to Ethiopia in a BIG way!" As if my daughter coming from a place where she went long stretches of days without food wasn't enough!! He spoke through children, song, scripture, friends, websites and a very generous family that has given me the exact amount of money needed for the trip! I am so blessed and unworthy of the attention the Spirit has given me. So, here I go "I'm divin in!!!" 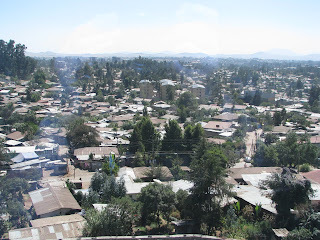 I will be going back to Ethiopia at the end of November. The trip will be a way to see how we can get involved in God's plan for loving orphans in Ethiopia. Off go my water wings and pop goes the baby pool! "Deep water faith in the shallow end." When your heart breaks...really breaks, you can never forget. It is actually still in pieces. When we left to bring our daughter home from a third world country I had no idea what I would experience. Even before we got there I knew that God wanted me to do more. It would seem then that it would be a no brainier that when given the opportunity to go back to Ethiopia that I would jump at the chance! But I haven't. I hate the word "but" it is full of meaning that I hate. For me in this case it means distrust in the God of the universe that isn't short on protection, cash or anything else needed for His will to happen. But(Ahh, I'm using that word again!) I am afraid to dive in, to get out of the boat. At least I think that is why I can't commit to the trip. I'm afraid of how God will change me through it. It is hard when you are a selfish person like I am to let go of that behavior. I was in the car with our three children last week(before they knew I was considering going back to ET)and I asked them"If we could do anything to help the people in ET what would it be?" Wow, I wasn't ready for their answers. Yabby told them about people living on the streets and as she told them"even babies sleep on the streets." The other two were flabbergasted! The talked about ways they could help,and they dreamed big. Then Isabelle said to me,"Mommy, You should get a team of people and go there and find out what they need and then come back and help them." I remember thinking, Did she really say that?! The trip I was asked to go on is exactly that! It is a vision trip through Children's Hope Chest. using to change me. I need to get out of the boat, dive in without water wings! It is easy to have faith standing on the edge of a blow up baby pool.God is asking me to take off the water wings and dive in, dive in deep. Deep into the unknown and much bigger than a baby pool. Is God asking you to dive deep? I know I am not alone out here! What is your baby pool. Where is that comfortable place that you feel restless in? Yes, this is a shirt from 1979!lol Wishful thinking for 2009! I friend of mine just recently wrote in her blog that "they didn't feel like a family yet." I want to thank her for saying that. So many times in and out of the adoption community we want things to look like everything is going perfect! But the reality is that we as adoptive families face many challenges that seem like any other challenges that any family would face but what in fact seems to be "typical" isn't always "typical." Right now we are stuck in the " It is not as tough as it was but it is not as good as it is going to get." We are in between "We are Family! "(sing it Pirate fans!!) to "When are we going to feel like family?" So, I have figured out that family "feels" different in different stages of our family. Every time we have added someone to our family, the idea of what our family feels like has changed. As my friend, Candy has put it, we have a "new normal." So, I think we are on the verge of it(meaning our new normal). But that means giving up the old normal. We cannot put new wine in old wine skins as God says it. But we have been trying to do just that, which has made this transition a lot harder than it needs to be. Some people have said(even myself at one point) that everything you have been experiencing would have happened if you would have added another biological child. Yes and No! Typical isn't always typical. We added a 6 year old baby to our family. She came with a past and a present and she was living with both. And then we come along and give her a promise of a future in Christ. That is a lot for a family to deal with. That is a lot for a little girl to deal with. So right now we are singing "We are Family!" It doesn't sound really pretty, But in God's grace we WILL get there.